The Big Question: Is Atom Araullo Going Home to GMA? The fallout surrounding Atom Araullo’s departure from ABS-CBN is still strong. It has been a week since Atom bid farewell to ABS-CBN News in order to ‘explore new interests’. At the time, many thought that Atom will simply be a freelancer and make good on his promise of seeking different opportunities in the world of media. However, within hours of the announcement, GMA teased everyone when Mike Enriquez, Arnold Clavio and Susan Enriquez made mention of Atom’s name in the DZBB radio program ‘Sino?’. The rumors continued when GMA made the announcement on television of a ‘big reveal’ on ’24 Oras’ this Thursday night, with viewers again speculating that the man on the video is Atom Araullo himself. Atom Araullo’s career as a host and journalist is a remarkable one. His initial foray into television is on the Probe Productions program ‘5 and Up’, but unlike fellow hosts Chynna Ortaleza, Maxene Magalona and brothers Rayver and Rodjun Cruz, Atom chose to follow a career in journalism. After a brief stint as a sports reporter on GMA’s ’24 Oras’, Atom moved to ABS-CBN in 2004 where his career really took off. While he was best known as one of the hosts of ‘Umagang Kay Ganda’ and even had his own show in ‘Red Alert’, Atom’s best moment came in 2013 when he reported in Tacloban about Typhoon Haiyan (Yolanda) while braving the heavy rains and winds. Earlier this year, Atom received his first acting role on ‘Citizen Jake’ while earning a bronze medal at the New York Festivals for his documentary ‘Warmer’. His final appearances on the ABS-CBN family of networks came last night in an episode of Lifestyle’s ‘The Crawl’. If it is indeed true that Atom Araullo will move to GMA Network, the reaction could be a mixed one. ABS-CBN has had a ‘no-compete clause’ in their news personalities’ contracts which state that they should not move to another network until a year following their departure. Then again, anything like a ‘no-compete clause’ is totally irrelevant at this point. Not only that, Atom’s departure from ABS-CBN is an amicable one, and as a free agent, he can choose his next destination anytime he wants. Later tonight, the ‘big reveal’ will take place on GMA’s ’24 Oras’. But the question remains, is the man in the video indeed Atom Araullo? Find out in several hours’ time. GMA’s new teleserye ‘Adarna’ will be Kylie Padilla’s first lead role in a primetime series. Tonight’s GMA Telebabad lineup will have one change. ‘Adarna’, topbilled by Kylie Padilla and Geoff Eigenmann, will replace the recently concluded ‘Kahit Nasaan Ka Man’. However, the program’s debut will also demote the Dingdong Dantes starrer ‘Genesis’ off the leadoff spot. As it turned out, ‘Genesis’ was demoted amid its sensitivity towards its ‘end of the world’ storyline and the popularity of ABS-CBN‘s ‘Honesto’. Right now the Philippines is still recovering from the damage of Typhoon Haiyan (Yolanda), and it may not be good to follow a news program like ‘24 Oras‘ with a sci-fi Armageddon-based story of ‘Genesis’. The demotion should make sense because a possible public relations disaster would take place had ‘Genesis’ remained as the leadoff program. In addition, the demotion was also necessary because ‘Genesis’ has been beaten consistently by ‘Honesto’ in the ratings. Whether it’s Nielsen or Kantar, it seems that the latter’s inexperienced lead star Raikko Mateo is outplaying the veteran Dingdong Dantes in terms of television viewership. The unexpected popularity of ‘Honesto’ also spread into social media, helping it become the most-watched program in its timeslot. Because of that, GMA had to place ‘Genesis’ opposite ‘Got to Believe’, which stars the popular teen love team of Kathryn Bernardo and Daniel Padilla. However, ‘Got to Believe’ has also been a consistent top draw in its timeslot, and with the increasingly popular team-up of Bernardo and Padilla proving to be a hit, it would be an even difficult task for veterans like Dantes and on-screen partner Rhian Ramos to overcome the former viewership-wise. Nevertheless, ‘Genesis’ should be a more formidable opponent to ‘Got to Believe’ after the now-concluded ‘Kahit Nasaan Ka Man’ of Julie Anne San Jose and Kristoffer Martin failed to draw viewers. Which brings us to ‘Adarna’, a modern retelling of the Ibong Adarna epic. This will be the first starring role for Kylie Padilla in a primetime series. Padilla, though a seasoned actress in her own right, has yet to play a major role in the ratings-rich primetime slot, and opposite five-year-old Mateo, expectations are high for the young veteran to make her mark. In ‘Adarna’, Padilla will be joined by leading men Eigenmann, Mikael Daez, fellow young actresses Ryza Cenon, Michelle Madrigal and Chynna Ortaleza, and veterans Jean Garcia and Jestoni Alarcon in helping her fulfill the daunting role of a half-human, half-bird character from a classic Filipino epic. For Eigenmann, ‘Adarna’ will be his first teleserye after a long showbiz hiatus. As seen in a GMA News report, Eigenmann has slimmed down after battling weight issues prior to his sabbatical. Meanwhile Daez will appear in his first teleserye without on-screen partner Andrea Torres, whom he paired in the afternoon soap ‘Sana ay Ikaw na Nga‘, the morning ‘kiligserye’ ‘With a Smile’, and the gag show ‘Bubble Gang’. 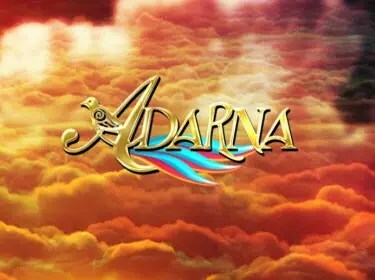 ‘Adarna’ makes its highly-anticipated debut tonight after ’24 Oras’ on GMA Telebabad.